BlackHawk Datacom has more than 35 years’ experience providing engineering, procurement and construction services to the Oil and Gas, Maritime and Utility industries. 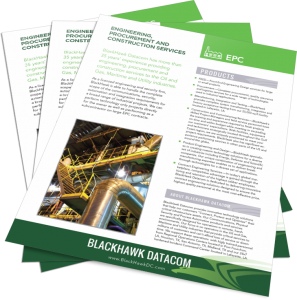 As a licensed engineering and security firm, BlackHawk is able to handle the complete scope of the communications, security, automation and integration requirements for a broad range of industrial projects. We can perform technology only projects directly for the owner as well as performing as a subcontractor on large EPC contracts. 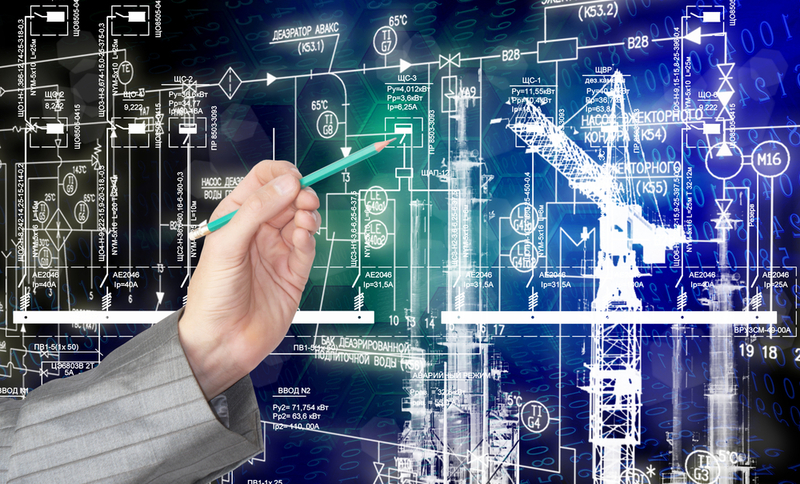 Front End Engineering Design services for large or small projects. Complete procurement, quality assurance and logistics services for a wide range of technologies used in industrial applications. Manufacturing, Integration and Testing—BlackHawk provides complete system manufacturing, integration and factory acceptance testing from our 25,000 sq ft facility located in Lafayette, LA. BlackHawk’s skilled Project Managers and field service personnel have the training and experience required to finish projects on time and within budget while meeting or exceeding our customers’ expectations. With facilities, equipment and technicians strategically located throughout the Gulf Coast region, we are uniquely positioned to meet your project requirements. BlackHawk also has significant experience performing services in other parts of the US and around the globe. BlackHawk specializes in creating custom technology solutions for a diverse set of industries including Energy, Defense and Scientific companies. Our unique combination of engineering and manufacturing expertise enables us to deliver breakthrough technologies for a diverse set of applications. In today’s global marketplace, competitive advantage is gained through the hiring and retention of the highest caliber employees. BlackHawk Datacom is dedicated to delivering innovative contract engineering solutions designed to ensure the highest quality personnel at the most cost-effective price.